Most commercial properties of decent size will have some form of life safety systems which may include an electronic fire alarm system installed which will monitor building sprinkler systems and detect fire and smoke conditions, subsequently initiating an alarm to inform and evacuate the occupants of a commercial building. The fire alarm system may also send commands to voice evacuation systems to notify occupants of evacuation procedures or vertical transportation systems such as elevators indicating the presence of smoke or fire and institute fire recall and lockout functions. Another form of life safety system would be emergency lighting and emergency exit signage which directs occupants out of a commercial structure in the event of an emergency. Although no actual testing of any of this equipment would take place during a commercial property inspection or property condition assessment, the presence and typical locations in general condition of this equipment should be observed and reported upon. As part of any real estate transaction testing of the life safety systems and replacement of batteries in the emergency lighting units and exit signage is recommended as a precaution. 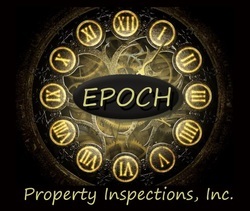 As a with any building system commonly found on a commercial property routine inspection and condition assessment followed by application of proper maintenance materials and techniques is of utmost importance in ensuring the longevity of any life safety system. Examples: fire alarm system, sprinkler alarm system, mass notification system, voice evacuation system, emergency lighting, emergency exit signage, firefighter access, knox box, electrical service labeling.